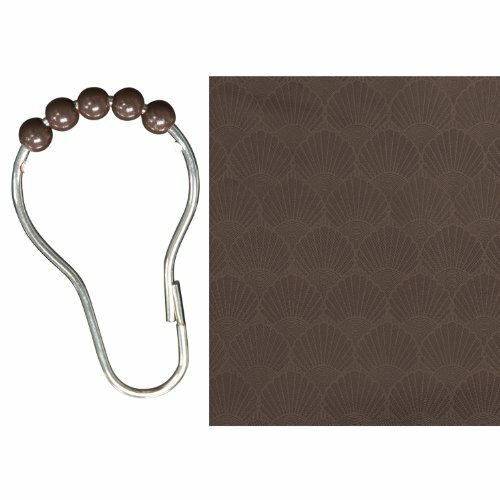 The Kenney chocolate vinyl shower liner includes 12 coordinating beaded roller rings that glide easily on a shower rod. This vinyl shower liner features a weighted bottom hem and reinforced grommets to prevent tearing. This vinyl shower liner is 2.8 gauge in thickness and measures 70 x 72 inches (178 x 183 cm). If you have any questions about this product by Kenney, contact us by completing and submitting the form below. If you are looking for a specif part number, please include it with your message.